As part of testing the power supply for the mass procedure performed another experiment to study the heavy-duty models. 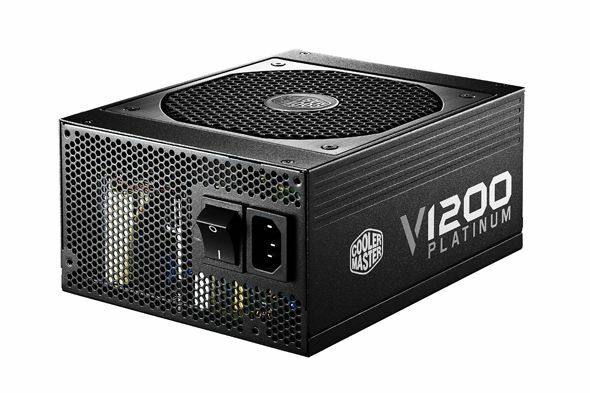 At this time, power 1200-1250 watt . Previously, we were able to test in the same conditions several 1000-watt power supply. Although the test stand can provide load only up to 800 W, these materials were obtained interesting results. In particular, it was tested the idea of using the unit with plenty of power. Systems with three or four video cards – a very rare exotic and standard cords SLI / CrossFire in the ordinary (“game”) rarely use consume more than 600-700 watts. However, someone buys a “kilowatt” and even more powerful units. Obviously, many users use their load far from the maximum. 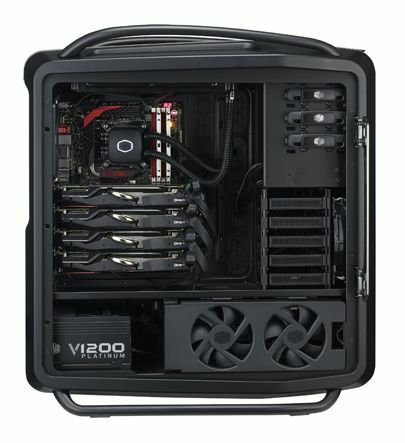 Cooler Master V1200 and EVGA SuperNOVA 1200 P2 – it is expensive “platinum” flagships of well-known manufacturers, as well Chieftec GPM-1250C – «almost flagship”, since he is certified under the standard 80 Plus Gold, but has a handicap of power. Well, let’s see what surprises can give the test. We begin, as always, with an external examination. The unit comes in a large (385 x 250 x 135 mm) cardboard box decorated in the traditional colors of the manufacturer. Unfortunately, the handle is not provided, so it is better to prepare for carrying capacious bag. With informative, as usual, all right – we have never abused Cooler Master for the lack of necessary information. It happened and now – on the box is a description of the product characteristics of the table, a list of connectors and a few photos. V1200 is packed very carefully. Cords expanded in two comfortable bag Velcro, package placed in a separate box, the housing unit safely “rolled up” into a tight. Package includes instructions, power cord, mounting screws, plastic ties to secure the cords in the assembly, as well as the mode switch of the cooling system, installed in one of the slots for expansion cards housing. The block itself looks very solid. In many ways – thanks to a custom size. 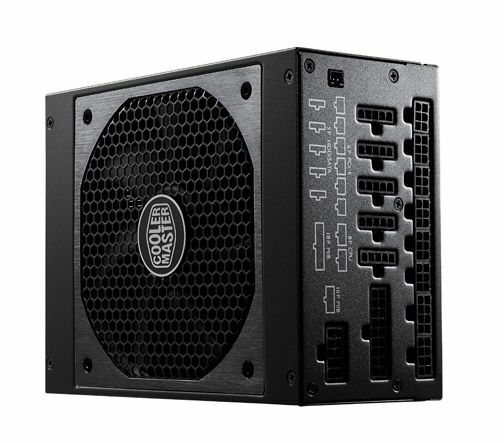 The length is increased by 50 mm (compared to the standard models form factor ATX).Well, for such a high capacity power supply business as usual. Users who really need 1200W hardly planning to gather in a compact system with which the block may be incompatible. 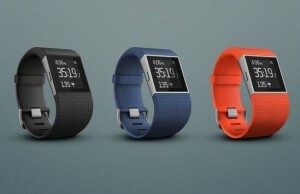 The device is made of a fully modular scheme – all cords are canceling direction. The unit is equipped with a large seven-bladed fan size 135 x 25 mm. Consider the power characteristics. Channel 12 may be submitted up to 1200 watts of power (current – up to 100 A), which is 100% of the nominal device. The ideal! The strength of the current lines of 3.3 V and 5 V is limited to 25 A maximum total load – 125 watts. 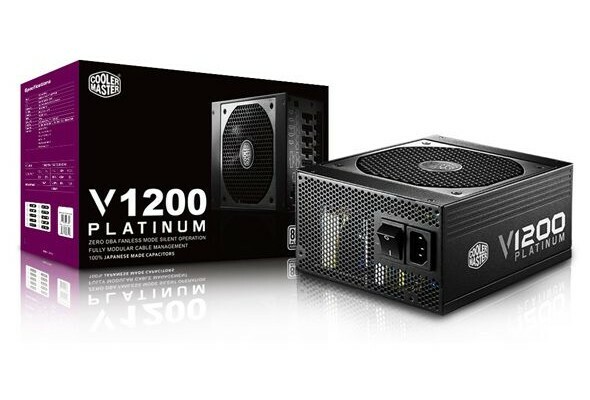 Model V1200 certified under the standard 80 Plus Platinum. 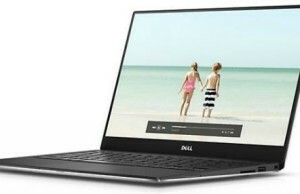 The unit is equipped with a composite connector ATX Mainboard 20 + 4-pin and the CPU 4 + 4-pin (there are two such connectors).The length of the cords 620 and 670 mm. By the number of connectors to supply video cards V1200 establishes a record for all the tests – twelve pieces! Moreover, all components – 6 + 2-pin. Thus, this PSU can be connected directly six powerful graphics accelerators. This configuration can be used, for example, as part of a special “farms” to complicated calculations. Cord Length – 600 and 700 mm. The number of connectors for peripherals is also impressive: twelve SATA; nine and one Molex Floppy. This is more than enough for even the most advanced home PC. Cord length 800 mm. To summarize, external examination. Cooler Master V1200 makes a great impression. 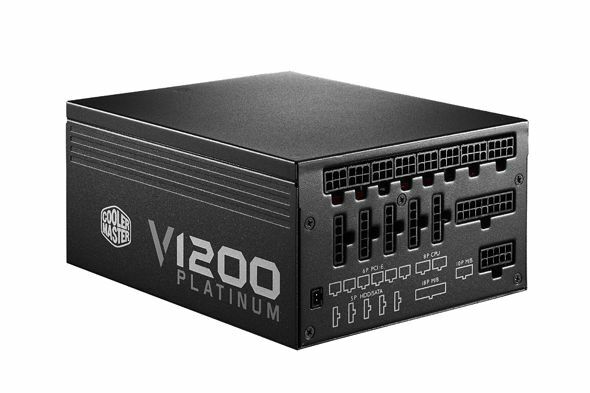 The manufacturer claims this unit ideal power characteristics (current-carrying capacity of the line 12 is exactly equal to the face value unit), 80 Plus Platinum certification guarantees the highest efficiency, and a set of connectors allows the use of the model, even in exotic systems for professional computing. Read about next participant of our test – Review Chieftec GPM-1250C.